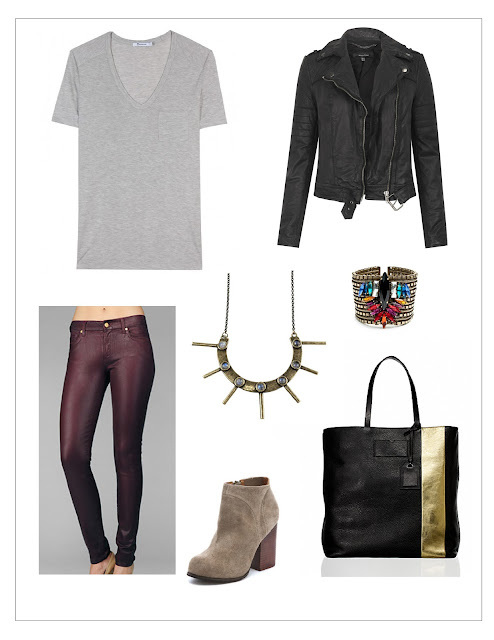 As I made pretty clear in my first outfit post, I'm a huge fan of a solid color v-neck tee. It's like a blank canvas, a starting point to layer accessories, adding prints and color and sparkle. Bonus? It looks great on EVERYONE. These items have all been on my radar for a while, and if I had it my way I'd be rocking them together this weekend (and all the time during the week, too). Alas, my bank account isn't ready to let that happen, but for now a girl can dream! Hopefully, a few of these items will make it into my wardrobe this season. What's your favorite weekend look?